This inspection provides the prospective buyer with the information to make and informed decision. 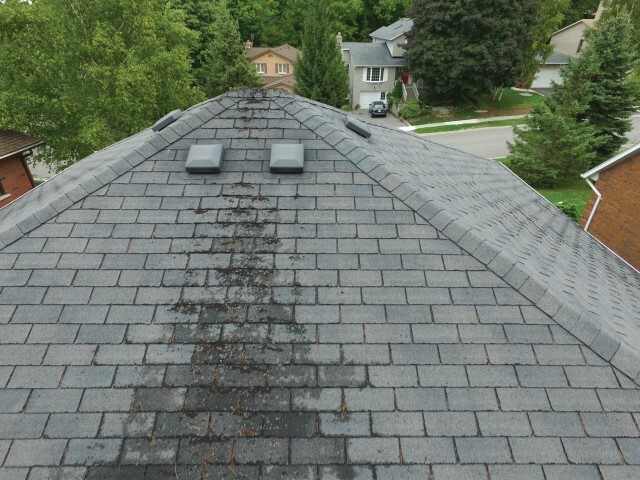 We look at the main systems of the house and report on defects. We include information about how the house works and advise on regular maintenance requirements. If the client then goes on to purchase that property, we are available via e-mail or phone to answer any questions relating to that home. Why get a pre-listing inspection? A pre-listing inspection can be important when a seller wants to prepare their home and ensure a smooth transaction. It will identify defects and maintenance issues that could be an obstacle or time consuming in the selling process. This enables the client to make any repairs or adjust their listing appropriately if they so wish. Professional advice on home systems in roofing, structure, electrical, heating, air conditioning, plumbing, insulation and exterior & interior. 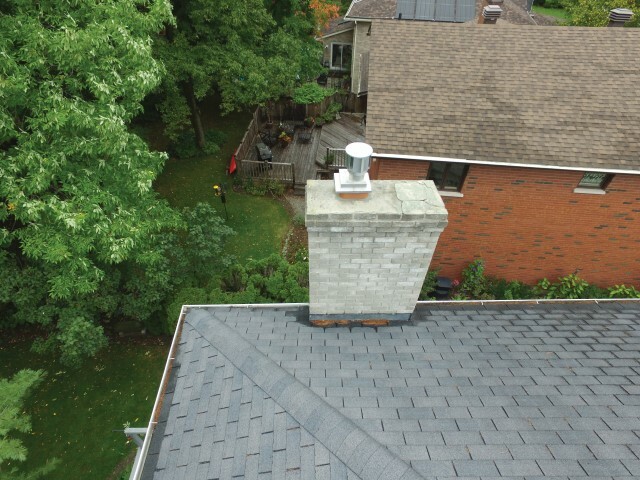 This is an inspection of roofs and chimneys. 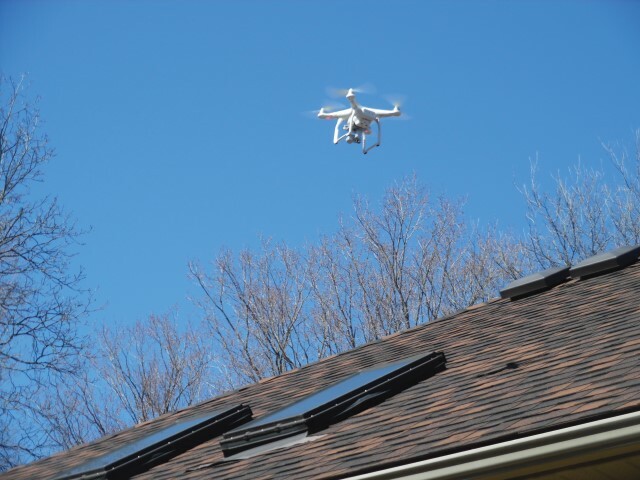 Using a Drone makes for a fast, efficient and safe way for home inspectors to perform a thorough roof inspection without a lot of the downfalls that come with traditional methods of roof inspections! The inspection of solid fuel appliances to ensure code compliance and adhere to modern safety standards. MECHANICAL COVERAGE SUMMARY: Plumbing: Water lines, faucets, water heaters, drain lines, gas lines. Electrical: Main service panel, secondary service panel, and wiring. Heating/Air (HVAC): Furnace, Air Conditioner, and Thermostats. *Roof and chimney negotiated by size and height. *Multiple family dwelling negotiated by number and size. *WETT Inspections include additional cost for multiple appliances. Before the inspection we will send the client a copy of the contract, via e-mail (or hard copy pre-inspection), which includes a link to the OAHI standards of practice and a description of expectations of the inspection. If the client is happy with the contract it should be accepted and signed before the inspection commences. If there are any concerns or questions they should be addressed before signing. The inspection will last 2-2 ½ hours for an average size house. We encourage the client to accompany us throughout. We are open to answer timely questions as we go through the different systems of the house. At the end of the inspection there will be a 10 to 15 minute summary and question time for the client. Within 24 hrs after the physical inspection a full electronic report will be e-mailed to the client. We suggest it is downloaded as a PDF file and saved. A hard copy of the report can be obtained at an extra cost. Our on-going service is to answer questions and advise clients if they go ahead and purchase the property. There is no official licencing of Home Inspectors in Ontario. Certification from an accredited college or organization is required to be a member of OAHI (Ontario Association of Home Inspectors) and CAHPI (Canadian Association of Home and Property Inspectors). 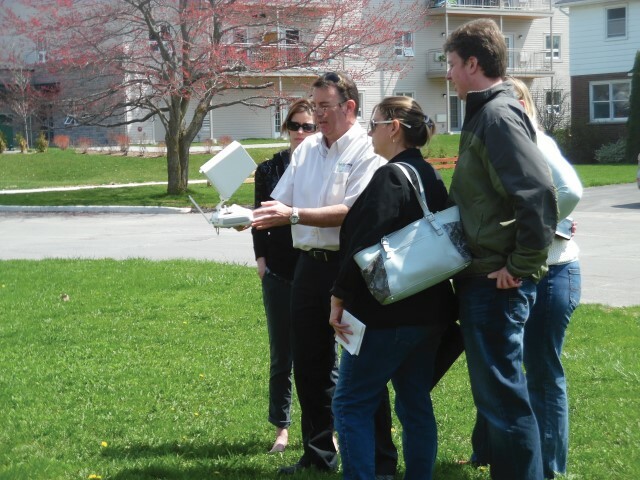 Continuing education is a requirement to maintain membership. The benefits of membership to the client is that the member receives information about any problematic systems, any new products and better inspection techniques. Members are bound to adhere to the Standards of practice and Code of Ethics set by the organization. You can have peace of mind that each inspection will be carried out to the industry standards.